The temptation of a chocolate smorsgaboard – dive in and repent – later! Any excuse to gorge on gourmand goodies and since it is renowned as ‘the food of the gods’ one would not want to risk heavenly retribution by denial or refusal – would one?! 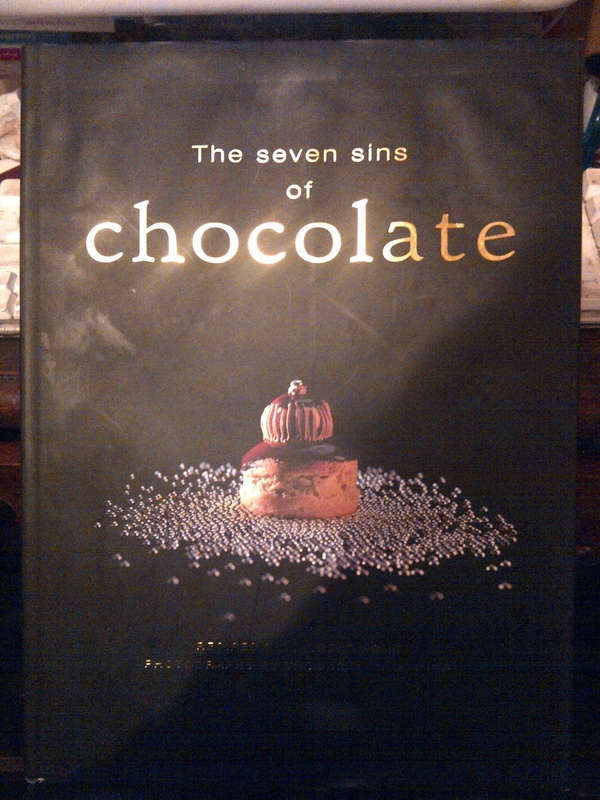 “The Seven Sins of Chocolate”, by Laurent Schott. The big book of sinful chocolate recipes! It’s a bit of a weighty tome, with decadently photographed and labourious recipes of French patisserie and confectionary, the chapters are themed along the Seven Deadly Sins: Sloth, Anger, Lust, Pride, Envy, Avarice, Gluttony. 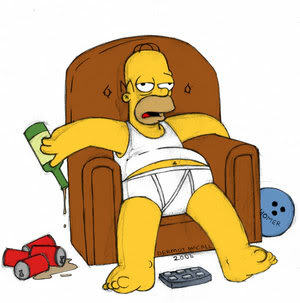 However, judging by the outrageous deliciousness of the recipes a lot of the latter will ensue, which will result in an excess of the former! Finely chop the pears. Place in a large wide saucepan with the sugar, lemon juice and vanilla beans. Add the chocolate, bring back to a boil, and remove the vanilla beans. Pour into sterilized jars and cover with lids while still hot. Turn the jars upside down and cool. ** To test for setting, remove the pan from the heat and put a teaspoon of jam on a chilled saucer for a minute or two – a skin should form which wrinkles when pushed with the finger. If not, return to pan to a boil and test again in short intervals.The book says, I quote ” This jam is delicious with fresh crusty bread for breakfast or on plain rolls and cake for a snack.” It will keep for up to a year if stored in a cool, dry place away from light. A year!!!! ?? NOTHING in my kitchen cupboard lasts a year. However, if you are feeling like a gourmet goddess, it could make a nice Festive gift for friends/family etc. "If the eyes are the windows to your soul, then the nose is the doorway to your imagination" The Perfume Mistress Hello, by day I am a clinical aromatherapist and tutor, with over 10 years of working with natural materials and essential oils, by night I delve into the art of botanical perfumery, reading and smelling all things olfactory. I have set up the 'Nosetrodami Club' offering scentsory talks, discussions and master-classes on all topics and themes olfactive. I also offer one and two day workshops in the art of natural perfumery, natural and organic body & skincare. My inspirations range from the mundane to the metaphysical, the hum-drum to the hyperbolic which you may see reflected in my posts. This entry was posted in Aphrodisiac, Candy, Fragrance themes, London events, Recipes and tagged cacoa, Chocolate Week, cooking with chocolate, Gluttony, Gourmand, pear, perfume and food, Seven deadly sins, Sloth, vanilla bean. Bookmark the permalink.